"In producing 700 drawings in pastel, Degas (1834-1917) not only captured gauzy ballerinas, self-absorbed women bathers, milliners, nudes and concert-goers, he also exploited the medium's versatility to depict ethereal seascapes, brothel scenes and exotic Russian dancers. Representing the full range of his pastels, this comprehensive album superbly reproduces 70 pictures, each with facing-page commentary. 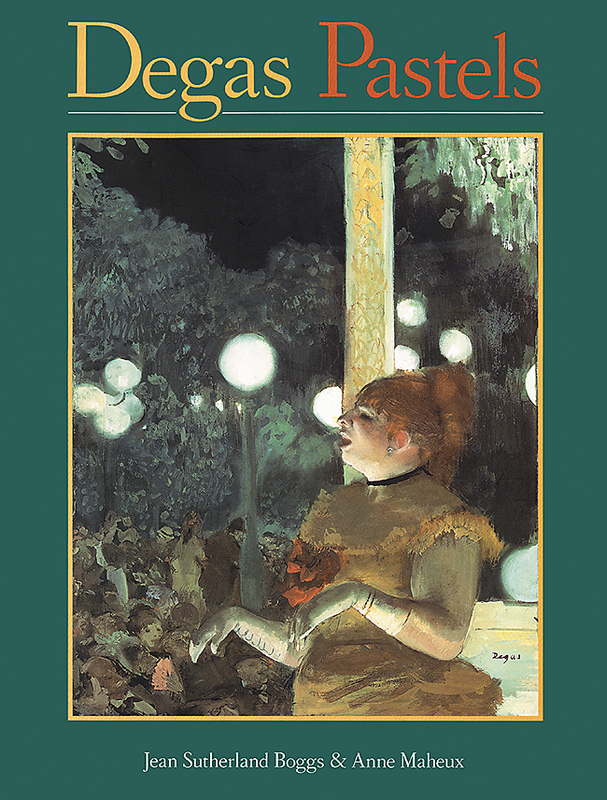 In her short introductory essay, Boggs, a leading Degas scholar, contrasts his exuberant jockeys and diaphanous dancers with the deeply pessimistic, withdrawn figure studies that the artist, with failing eyesight, produced in the first decade of the 20th century. Maheux, conservator of graphic arts at the National Gallery of Canada, examines Degas' methods and materials, and shows how pastel, in his hands, evolved into a modern, infinitely variable medium that he combined with monotype, gouache, lithographs and other materials to achieve novel effects." "As a quick, cheap way of sketching and drawing, the medium of pastel dates back to the Renaissance. Degas's pastels are particularly noteworthy because he expanded the range in which the medium could be used and broke the bounds of its academic context. In two brief, narrowly focused essays, historian Boggs and conservator Mayheux share their expertise, providing biographical background on the artist and an assessment of his technique and experimentation in pastel. Following the essays are 65 color plates, plus a chronology of Degas and the pastels, cited exhibitions, a selected bibliography, and a glossary of technical terms. Many of the works reproduced are in private collections and have not been published before. They form the core of a book that would have been enhanced by further description of Degas's relationship to other artists mentioned in the text. Recommended for informed readers."